This 34 month project, supported by the EU’s Erasmus programme, is led by the Norwegian Dokka Upper Secondary School, with four other project partners. These include WWT Martin Mere and the WLI initiative (UK), the Randsfjordsmuseum (Norway), EVOA at the Tagus Estuary (Portugal), and the Urdaibai Bird Centre (Basque Country, Spain). 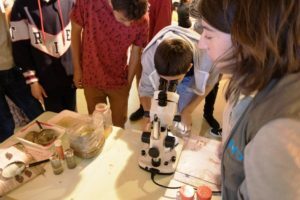 The project aims to develop a monitoring tool that allows students visiting wetland centres to collect and upload data, showing the impacts of climate change on local wetlands. The partners will work with their local school students to carry out survey work and develop guidelines for collecting data, as well as feeding into the design of a user-friendly web-based database that will display their information. The project will include visits to all four wetland centres, working with students and teachers, to create a tool that is truly international, and will not only provide a useful sources of information, but also give students a taste of what a career in environmental protection is really like. For more information, contact the head of WLI. Follow the project on Instagram. See more Biowet news here on the WLI website. The participants will further refine the protocol though online meetings, before a pause in the surveys because of school exams. Schools and wetland centres not already part of Biowet are very welcome to download and use the protocol at their own local wetland centre. If that describes you, please contact WLI to help arrange the process!